Praxis Footwear, one of the newest independent skateboard shoe companies, premiered an amazing collection of shoes earlier this year. 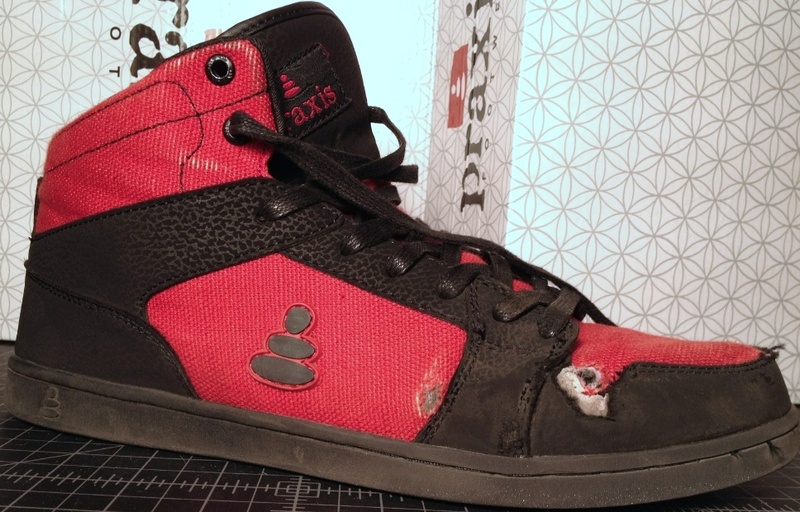 Praxis is making a core skateboard shoe that flies in the face of the “skateboard-lifestyle” trend that has been so prevalent in recent years. They look good and skate even better! 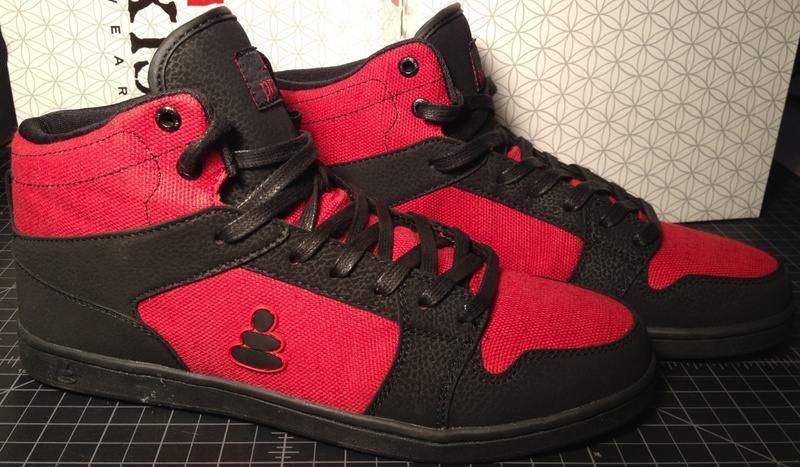 The Elemental high top is one of the Vegan models and Praxis provided a pair for a skate review. We where excited to get a chance to lace up a pair and put them to the test. They are one of the few shoes out today using synthetic-nubuck upper in the high abrasion areas. 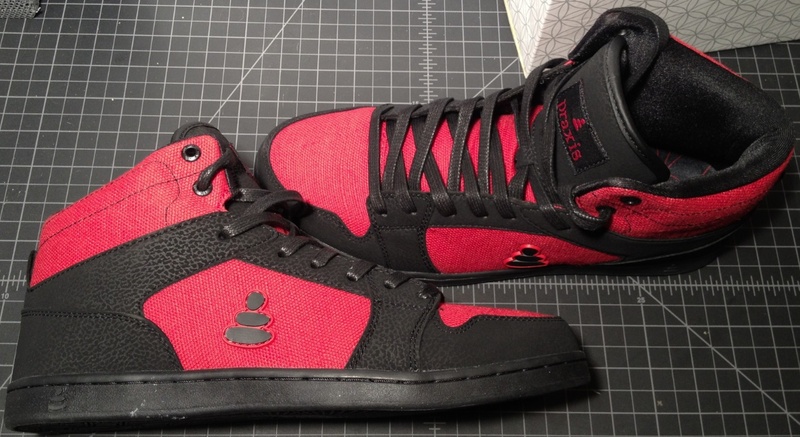 The red hemp-canvas compliments the black synthetic for a very breathable shoe. The pebble pattern on the synthetic nubuck toe cap and lace cage give the Elemental a retro look almost like a late 80’s Airwalk. Possibly over the top for some, the high contrast red and black pop! 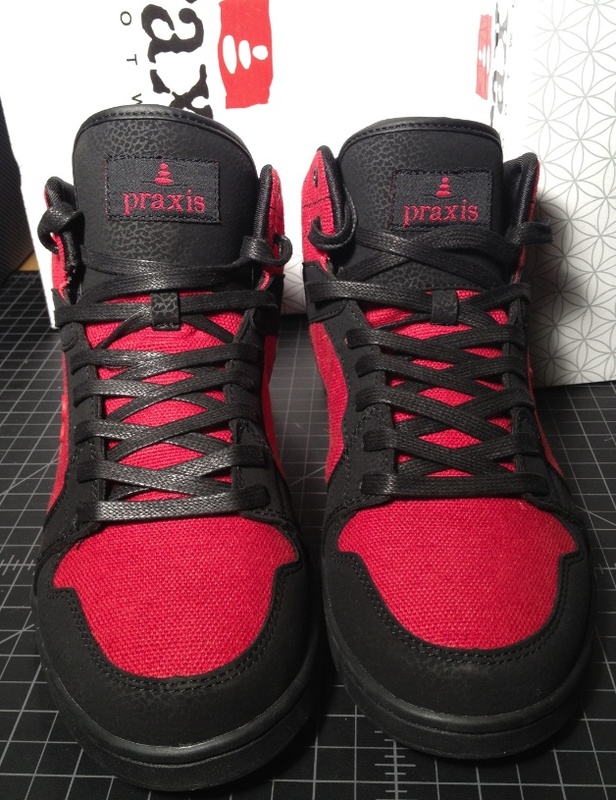 All Praxis are thin cup soles and feature the “Sacred Sole” pattern on the bottom. Certainly the most unique pattern on any shoe in recent memory they are super flexible and grippy. This also means that within minutes they are ready to skate with no break-in needed. The collar is super padded but not constricting and doesn’t feel overweight. The tongue is thinly padded which is a nice contrast to the collar. Both are lined with a soft nylon that makes sliding your feet into the shoe super easy. One of my pet-peeves with high tops is the effort of unlacing. The Elemental are strong enough that I can simply grab that tongue and jam my feet in with out the heels folding in. 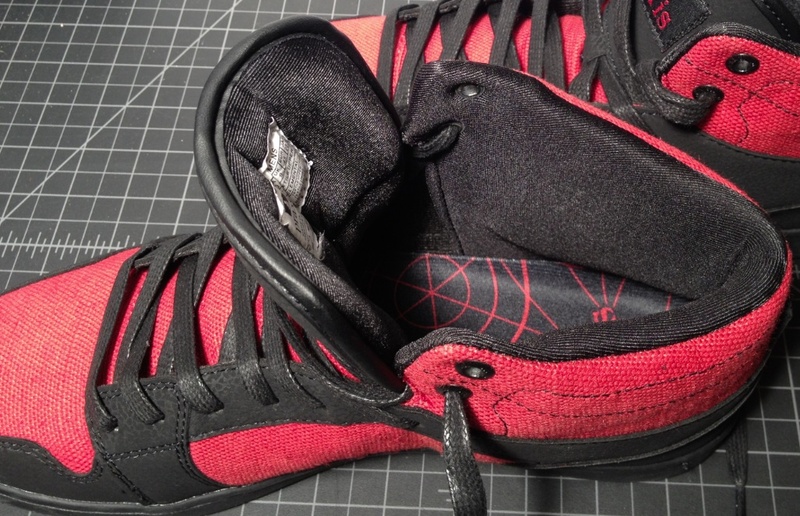 A good look at the toe, this is the right shoe and will get most of the skate wear. With 20 hours of skating nearly all of the pebbling is gone. 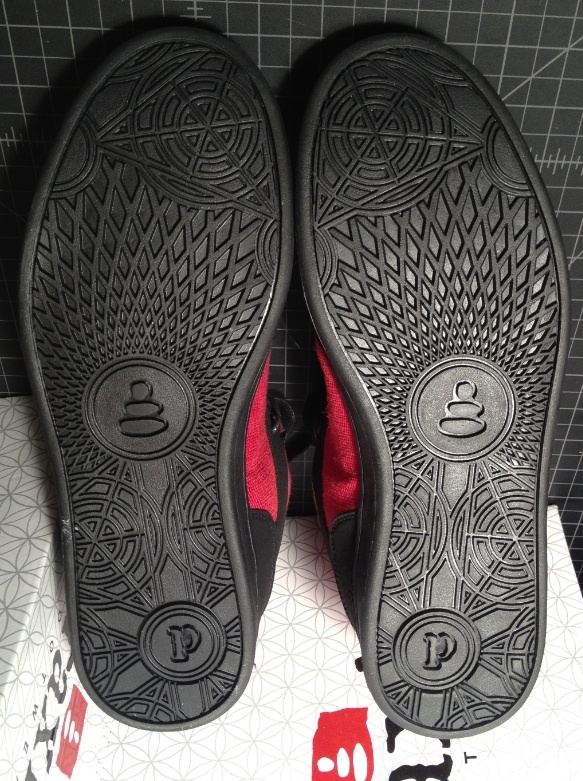 Some of the synthetic nubuck is starting to eat away. The Elemental is comfortable to skate in all day and really feels like a cupsole, though without the bulk that kills board feel. Check back in a few weeks to see how they hold up! 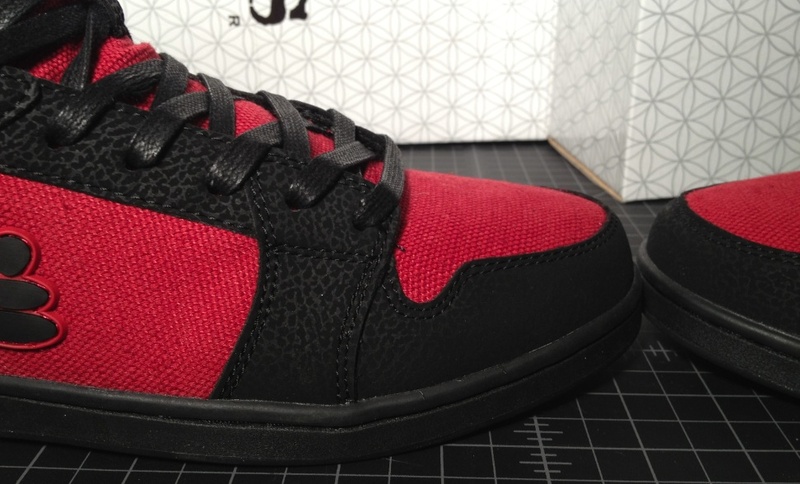 That exact model in a low top or even a mid top and I am purchasing. Are any of the original I Path folks involved with this? Looks a lot like a early I Path model. I need new shoes and will see if any of the shops carry these. Travis Matsdorf was a big wheel in Ipath and started Praxis. They do really have some similar colors, materials, and design feels like Ipath did in the good old days. Yes. It’s a lot of ex-IPath dudes. I just bought the “core” model in black (the only other vegan model in their line). I hope they’re good shoes.